The Cardboard Dugout: @RookiesApp Making Cardboard dreams come true! @RookiesApp Making Cardboard dreams come true! This is fantastic! Love the idea of keeping one pack unopened, and even cooler that you used your own photos instead of the Google rip offs like I did. Great, great job. The Jeter is probably my favorite, although the Yogi is money too. The Tino Score is awesome too. My brother-in-law is turning 40 for this week, and I actually created 20 cards for him sort of documenting his life. They are set to arrive today. I haven't made any for myself yet. 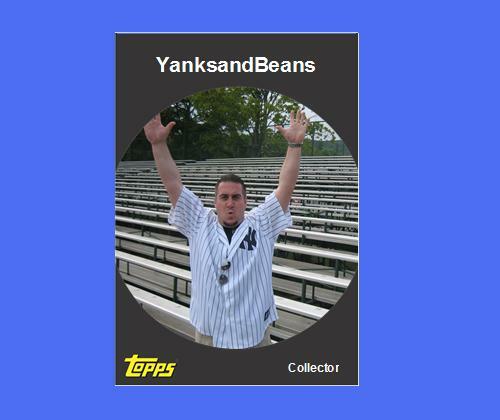 Hope I'm one of the lucky ones to get an authentic Yanks and Beans card!